Black Skin Directory is divided up into three main sections. Firstly, a LISTING of professional skincare experts according to location. We have professionals of various capacities listed, from Dermatologists and Aesthetic Doctors to Aestheticians and Facialists. All experienced in the day to day concerns of black skin, providing cosmetic and medical treatments. Finally, because we are passionate about putting you in the same room as professional skincare experts whenever we can, under our EVENTS page, you'll find details on our past and up coming events and any other events around the country which Black Skin Directory will be present. How to search for a professional? 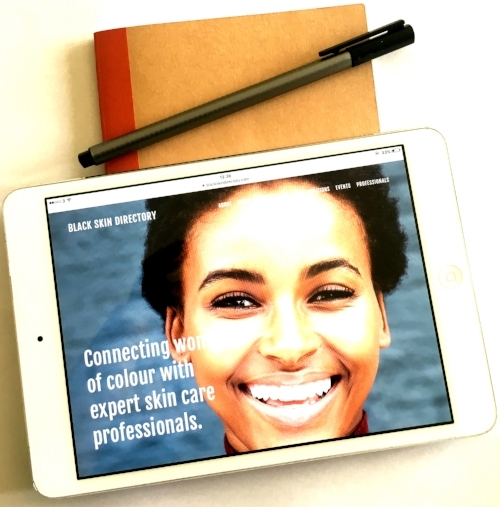 All of the professionals listed on Black Skin Directory are experienced in the myriad of skincare concerns you may experience and they are listed according to location. Select the ‘CLINIC SEARCH’ then select your location in the country. A list of available clinics will appear. All clinics have details on the skin conditions they look after and the services and treatments they provide. After having a read, shortlist a few clinics to contact. You can contact one or several – the choice is yours! We advise contacting at least three clinics. Use the contact form attached to the bottom of each clinic profile to send your query and they will be in contact with you within 48 hours.